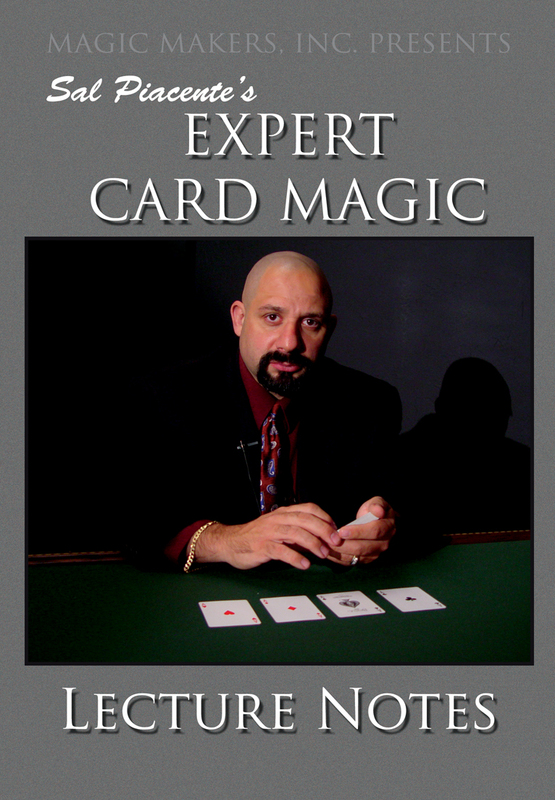 Today, when you order "Sal Piacente's Expert Card Magic Lecture Notes - Volume Two", you'll instantly be emailed a Penguin Magic gift certificate. You can spend it on anything you like at Penguin, just like cash. Just complete your order as normal, and within seconds you'll get an email with your gift certificate. Order in the next 11 hours 33 minutes and it will ship TODAY! 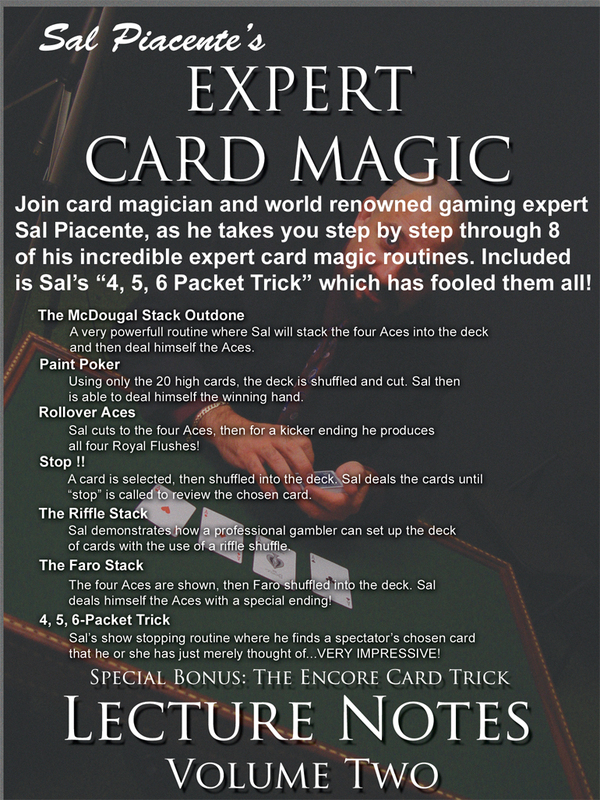 Join card magician and world renowned gaming expert Sal Piacente, as he takes you step by step through eight of his incredible expert card magic routines. Included is Sal's "4,5,6 Packet Trick" which has fooled them all! 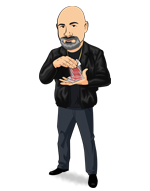 Sal Piacente has impressive skill. You will to after practicing the material on this DVD. Sal thoroughly explains each of these routines, going over every subtlety. I like Sal's 'hitman of magic' performance style. With how hot poker is today, if you perform card magic someone will bring up how they shouldn't play cards with you. Show them why with the Riffle stack. This dvd contains clear amazing effects. Finally i highly reccomend this and all the dvds to anyone with really interest in magic!